Top tips : What should identity theft victims do? DUBAI: For most identity theft victims in the country, the road to justice remains fraught with challenges every step of the way. Some of the guilty people are brought justice such as a Dubai Court sentenced a Kazakhstani man to life in absentia for faking the identity of a Russian businessman to steal Dh13.5 million from his bank but for a majority of victims, the ordeal of reclaiming their lost money and peace of mind is intense and long. In trying to fix problems stemming from the crime, many have spent hundreds of hours and thousands of dirhams in additional out-of-pocket costs. On top of lost time, money and energy, victims face the frustration of rarely seeing anyone pay for the seemingly silent crimes. of adults in the UAE use their phones to go online. We bring you the travails of some victims who share the details of their journey of uncertainty. For Ruchika Panday, the Bollywood actoress who lost around Dh800,000 after someone emptied her bank account in early 2018 following a SIM-swap fraud, said she’s still waiting for her case to be resolved. “My account was breached due to lax security at the bank. Yet the bank manager had no remorse. Instead of accepting their mistake and showing empathy, he dismissed me, saying SIM Swap crimes were rampant and that my loss was insignificant compared to those suffered by others. "Would you believe, they even made me pay when I asked for my bank statement. How can they be so callous? I filed a case against the bank and got a favourable verdict but the bank managed to get a court stay order. Now I have to wait for another several weeks to have it vacated. For someone who’s broke, each day counts,” said Ruchika. 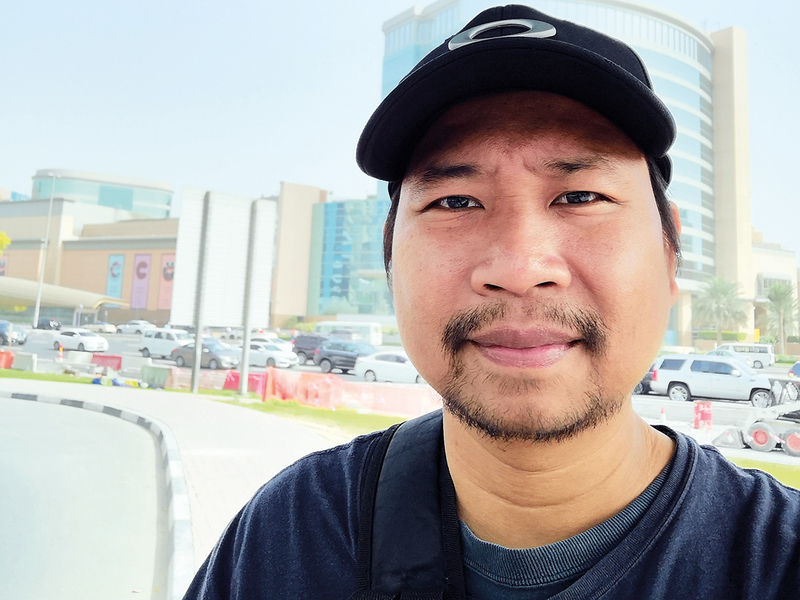 Another ID theft victim Benrolin Morilla Lagarbe had an equally harrowing experience when he tried to lodge a complaint about four SIM cards issued in his name using his lost Emirates ID. “I live in Ajman but had to go to a police station in Sharjah because that’s where I lost my ID. But they wouldn’t accept my complaint until I had applied for a new ID. So I called the telecom provider," said the Filipino. "They promised to look into the issue but kept billing me, leaving me with no choice but to report the matter to Dubai Police which asked me to go to Ajman police. So I went to Ajman Police which asked me go to court so I went to Ajman court which rejected my application saying I needed to approach a court in Dubai." "So I submitted my case in Dubai court, but they too rejected my application saying I have to go to Dubai police so I was back at the same police station which then advised me to approach the Telecommunications Regulatory Authority (TRA). I am at my wit’s end and none the wiser,” said Lagarbe. 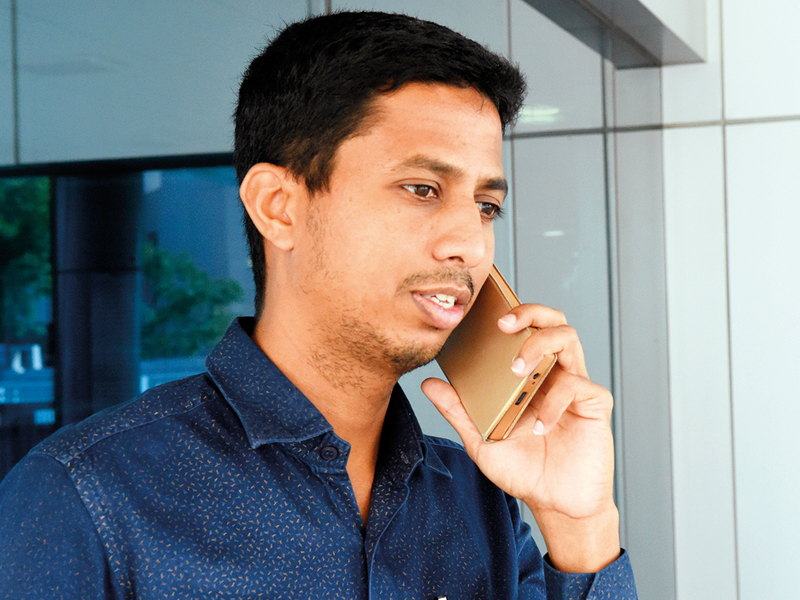 Mahammadali Kowtalam, who has been saddled with thousands of dirhams in phone bills after being issued 184 SIM cards without his knowledge said he’s exhausted all means of seeking redressal. “From the telecom providers and the TRA to the Emirates ID office and the police, I have knocked all doors over the past six months. But instead of relief I have debt collectors chasing me for outstanding bills," said Kowtalam. "If this were not bad enough, a telecom provider disconnected my existing phone connections. I am the victim of a crime, not the enabler,” Kowtalam added. “It took me ten visits to a telecom provider’s office to cancel the SIM cards. Apparently, they have to mention the reason for the cancellation. They wanted to mention that I was deactivating the fraudulently issued SIM as I was leaving the country which was obviously not true,” he said. Approximately what cybercrime in UAE costs organisations annually. In many cases, it is up to the victim to prove their innocence. Ask Selly Furtado and Shyam Vaddi who were caught in multi-million dirham forgery cases after their passport details were fudged without their knowledge. Furtado lived on charity for months as the case dragged on while Vaddi remained stuck in the country until he got a clean chit following a series of forensic tests and several visits to the public prosecutor. However by the time he could get his passport back, his visa had expired and he had to pay Dh3,000 to sort out the issue. 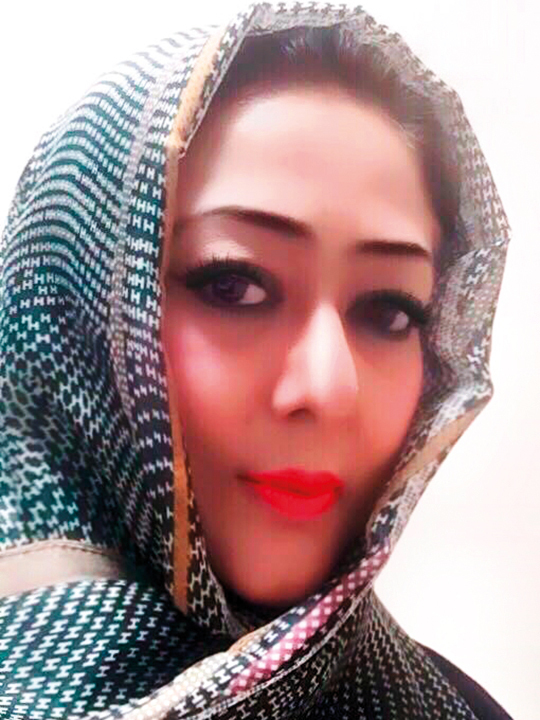 Dubai-based legal professional Farhat Khan said unlike other crimes, the burden of proof for identity fraud is on the victim. “This coupled by lack of support often exacerbates the impact that being a victim of such crimes entail,” he said. Another Dubai-based lawyer Yasmine Khan said the lingering effects of identity theft can take a huge financial and emotional toll on victims. “Correcting public records and credit scores can be a long, frustrating process,” said Khan, citing a case where a stolen Emirates ID was used to subscribe to the services of a local telecom operator. “Even though our client managed to prove that he was outside the country when the subscription form was signed, it took two years to resolve the case and get the accrued bills waived off,” she said. What are the different types of identity theft? • Identity thefts where documents, such bank statements, containing personal information are stolen from home or office waste bins. • Stolen (or cloned) payment cards. • Social media feeds that provide criminals with the information they need (such as name, address and birthday). • Impersonation crimes where someone calls and provides you with some information to “verify authenticity” and indicates you owe taxes or fines and need to pay right away. • Employment fraud, whereby forged or stolen identity documents are used in order to obtain employment. • New account fraud: Chip and pin cards make it harder for criminals to steal your credit card data but armed with your personal details, thieves can open up new bank accounts and credit cards in your name. Individuals aren’t the only target of identity theft. Criminals have started targeting businesses of all sizes putting them at increased risk of a data breach. For small businesses, this kind of a data breach can be fatal. 31% of data breaches occur due to human error and take an average of 215 days to identify and contain. • Fraudulent orders: Thieves order products or services in a company name and use stolen cheques or credit cards for payment. • Big purchases on credit: Corporate credit cards and corporate accounts have larger limits and less scrutiny on purchases so it is much more difficult to identify abnormal purchasing behaviour. • Thieves take advantage of minimal security: Many businesses do not have the time to closely scrutinise purchases and often take more time to reconcile purchases, buying criminals time to get away with the theft. • Easily accessible information is leveraged: It’s not hard to get the information needed about a company to establish fraudulent credit. Business names and addresses, incorporation details and registration numbers are readily available online. • Fake Office Supply: Scammers use fake and urgent invoices to get paid for non-existent products, services or online advertising. • Affinity: A fraudster infiltrates a closed community, gains workers’ trust and steals money through an investment scheme. • Directory Listing Check: A caller verifies a listing in a (fake) business directory and then charges for it. • Malware: While this one seems obvious, it remains a significant threat that is expected to move from infiltrating computers to targeting smart phones where it can access a range of personal and corporate information. This makes the inter-connectivity of our devices both beneficial and a threat. Identity theft is a severe criminal act and can be considered a misdemeanor or a felony offense under federal law. Punishment can result in a sentence of 3, 15, 20, or 30 years in prison, community service, probation and harsh monetary fines.